The ML series from 2006-’11 (W164) is the most common SUV from Mercedes-Benz that you’ll see at your shop. The new platform in 2006 saw a new unibody construction, new engines and a change from mechanical systems to more electro-mechanical operation of the engine and drivetrain. The M272 (V6) and M273 (V8) engine family was used for the W164. The engine can have port or direct injection, depending on the model year. All the engines do share continuously variable valve timing on both the intake and exhaust camshafts. The platform was one of the first to receive the 7G-Tronic seven-speed automatic transmission. Mechanically, the 7G-Tronic is bulletproof, but the solenoids and sensors in the valve body can cause problems. Missed oil changes on the M272 or M273 can have a direct impact on the longevity of the engine. The main impact that worn out oil will have is on the variable valve timing actuators and the seals inside. The result will be that the actuator solenoids will either not hold pressure or they will seize. Bad oil can cause multiple codes for synchronization of the crankshaft and camshaft, the camshaft control device regulation solenoid valve and other camshaft actuator related codes. Wear to the timing chain can also occur. When changing the filter, inspect the base of the housing that connects to the block for leaks. Also, inspect the oil cooler connections that are next to the oil filter for leaks. A lot of 2006-’07 model year Mercedes-Benz W164s came with M272 and 273 engines. 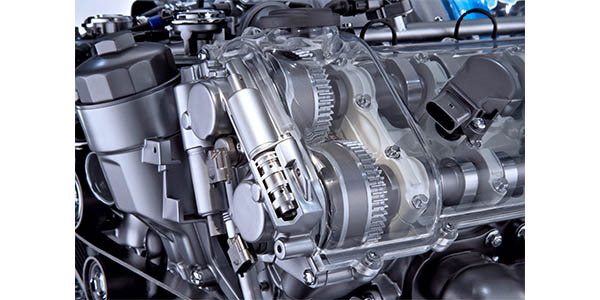 To smooth out engine vibrations, the engineers put a balance shaft in the center of the engine that is turned by the timing chain. The balance shaft’s gear also acts as an idler pulley for the timing chain. Many of the balance shafts had idler gears that were defective and would wear down the teeth to the point where the chain would jump. When this happens, the engine is out of balance and the engine timing is off. Typically, codes P1200 and P1208 will be stored in the active memory. The only way to repair the balance shaft is to remove the engine and replace the idler gear, timing chain and guides. 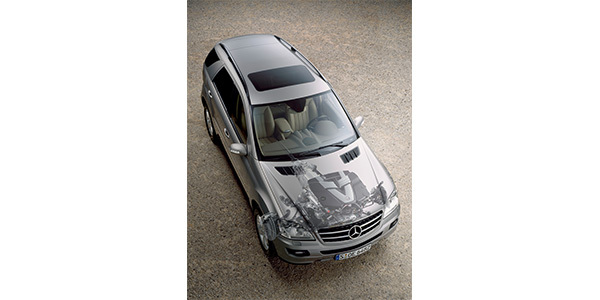 Mercedes-Benz reached a settlement with a class action lawsuit in 2011 amounting to $4,000 per vehicle. It is not uncommon for this type of failure to occur today on W164s with higher mileage. 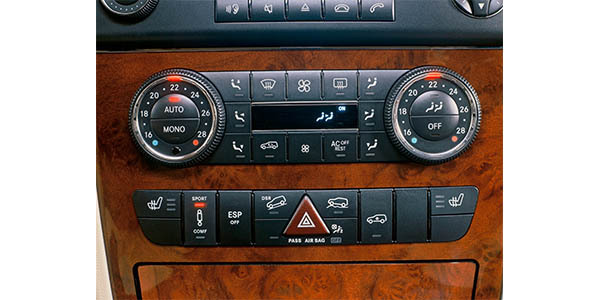 On 2006-’08 models, it is not uncommon for the seat heater to short out and give the driver a very hot seat. The driver might notice a burning smell first, and, in some cases, the heater will not work at all. Replacement elements are available. The M272 and M273 have intake manifolds that change the length of the runners and openings to the intake port to improve how the engine breaths at different engine speeds and throttle positions. When the flaps can’t move due to damage to the actuators or the linkages, the driver may complain of poor idle, loss of power and a check engine light with a P2006 code and other codes that can include changes to the long-term fuel trim. Inside the body of the intake manifold is a flap that essentially changes the length of the runners in the intake manifold. The other two flaps are located where the intake meets the intake ports on the heads. These help to control the air going into the cylinder to improve performance and turbulence. The flaps are controlled by three vacuum actuators that are connected to linkages. These components are made of plastic. Over time and with exposure to heat, the plastic can become brittle. The flaps can break and become dislodged from the shafts, stop working and potentially fall into the intake ports. The other potential failure involves the linkages on the intake manifold. Sometimes, the linkages can pop off their mounting points. Most of the time the linkages become brittle and break. Repairing the intake manifold is straightforward. Just take your time and look for cracks and other damage before you install the manifold back on the engine. 7G-Tronic is the seven-speed automatic transmission used for the W164 platform. The transmission has the electronic control module mounted between the transmission and valve body. The control module is integrated into a conductor plate that holds the shift solenoids. The conductor plate has the electrical connections for the sensors, solenoids and connector to the vehicle. The conductor plate and control module are not serviceable, while the solenoids and sensor are serviceable. There are replacement modules, but there are services that can repair the conductor plate. One thing to be aware of is that in the comfort or winter mode, the transmission starts in 2nd gear. But, 2nd gear is also used for reverse. The most common customer complaint is a loss of shift quality or the transmission remains in gear. Most of these problems are related to the solenoids and the electrical connections from the vehicle to the transmission control module, and connections to the shift solenoids on the conductor plate. The AMG version of the W164 has the MCT transmission — essentially the 7G-Tronic automatic transmission without a torque converter. Instead of a torque converter, it uses a compact wet startup clutch to launch the car from a stop and also supports computer-controlled double-declutching. On older W164 SUVs in the salt belt states, rust is starting to eat away at the doors and wheel arches. Mercedes-Benz vehicles are not immune to rust and corrosion of the brake lines. The most common area for corrosion is above the fuel tank. The W164 has an optional low-range transfer case with locking differential in the center and rear for the ML550 and AMG ML53. On most models, the transfer case has its own module that controls the operation of the center differential and high- and low-range operation, as well as distribution of power under normal operation. A separate module performs the locking of the rear differential. It is typically on the Hi-Speed CAN bus network and needs inputs like throttle position, wheel speeds and even steering angle to operate. The rear driveshaft typically does not have issues with the joints, but the center differential bearing can fail due to high mileage. The typical symptoms of failure are noise when cold and vibration. Also, the rubber flex disc can degrade and the rubber can separate from metal and cause a vibration. 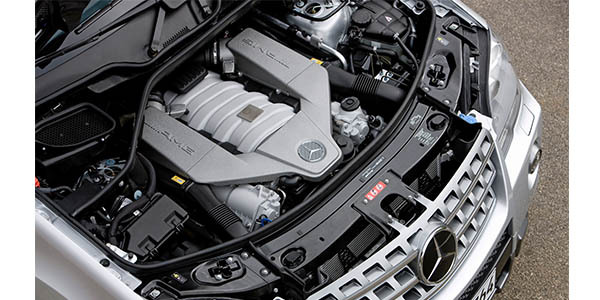 When it comes to fluids, the 4MATIC transfer case uses automatic transmission fluid that meets Mercedes-Benz standards. The same is true for differentials that use 75w-90 hypoid gear lubricant. 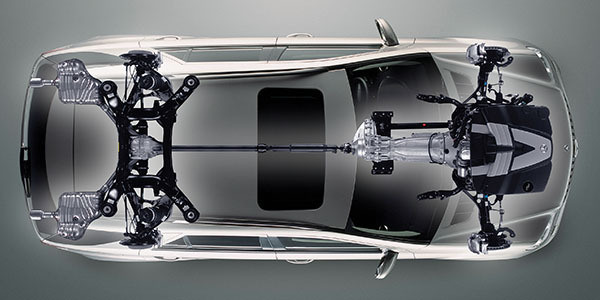 The fluid standards for the entire vehicle can be found at bevo.mercedes-benz.com. They even have an app that can be downloaded from the Apple and Google app stores. The W164 has two Airmatic systems — the standard Airmatic and Airmatic with the Active Dampening System (ADS). The good news is that the air springs can be replaced independently from the struts in the front. The driver can adjust the system, but the air suspension module that looks at data from various modules also adjusts it. 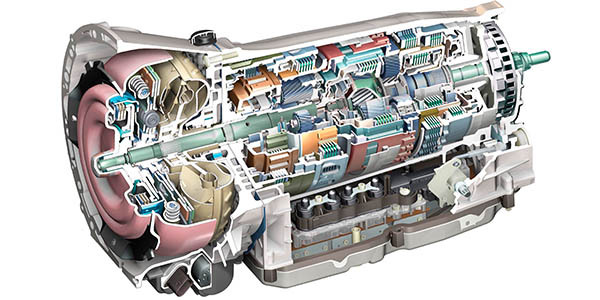 The compressor is the most common component in need of replacement. The compressor’s piston and cylinder are dry. As the compressor runs, a phenolic ring on the piston wears. Eventually, the piston wears and the compressor can’t generate enough pressure. This results in longer run times and even more wear to the ring. The air suspension module knows that for a given amount of time and temperature how much time it should take to fill the reservoir with air for a given correction. If the runtime exceeds the calculated time, a code will be set. Or, if the runtime is excessive, it will shut down the compressor to avoid overheating and possibly damaging the electrical circuit. The compressor will not typically run when the vehicle is idling. The compressor will run when the vehicle exceeds a specified speed between 25 and 35 mph. If a reservoir is low or depleted, it will run the compressor while the engine is idling. If you’ve replaced the fuse and relay for the compressor and it now works, look at the current draw. Like all electric motors, when the electric motor starts, it draws about twice the amount of amperage to get the pump moving. It will look like a ramp. This is normal and should be present at the start for only a very short period. 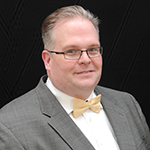 If the amperage stays high for an extended period, it could be a sign of mechanical damage to the pump. It will also burn up the new relay and fuse.